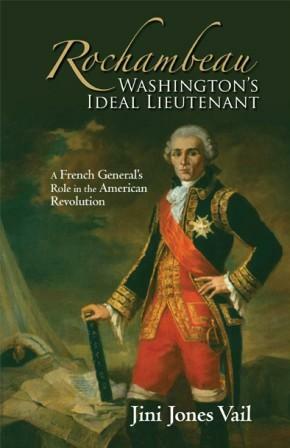 I am pleased to announce that my book, Rochambeau, Washington’s Ideal Lieutenant is now available as an audiobook directly online through Amazon.com and Audible.com (see links below). It will soon be available on iTunes. Please use the links below to access the book and listen to a sample. I hope you will purchase the book for your audio library. I think you will enjoy it very much. If you are new to Audible, please sign up for a free trial membership and make my book your first purchase! I would love to hear what you think of it. Step back in time and travel with Rochambeau as he rides through the night to the Palace of Versailles, answering a summons from King Louis XVI. Sail with Rochambeau as he and his 42-ship convoy cross the Atlantic on an exhausting 70-day voyage to America. Sit by his side as his carriage travels to meet with George Washington for their first face-to-face conference in Hartford, Connecticut. Enjoy the tension between the two generals as their strategy emerges. Stand beside Rochambeau as he proudly watches his handsome French troops depart from Newport, Rhode Island, to begin their 200-mile march to join forces with Washington’s army above the Hudson. Stand near him in Chester, Pennsylvania, as he watches an overjoyed Washington twirl his hat in the air on hearing that the long-awaited French navy under Admiral De Grasse had arrived in the Chesapeake. Ride at his side in the sweltering sun during the grueling trek from New York to Williamsburg, Virginia. Listen in as he rallies his troops at the Battle of Yorktown. And observe how Cornwallis grudgingly surrenders his sword at the final battle of the American Revolution.